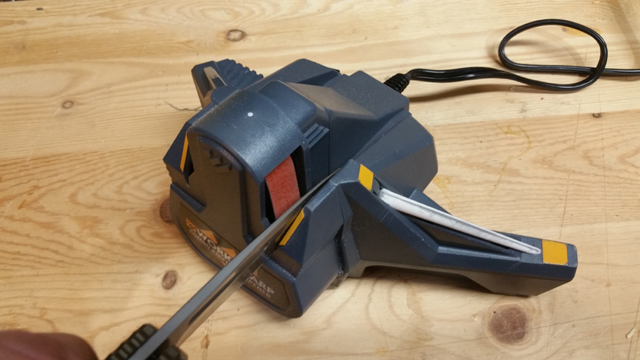 Recently I was sent the new WorkSharp Combo Knife Sharpener and was impressed with how easy this makes knife sharpening for anyone. 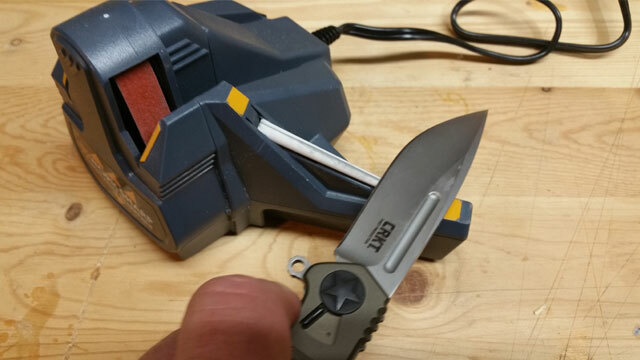 Ever since I reviewed my first WorkSharp knife sharpener a few years back, I have really struggled with reviewing others on the market. None of them really stack up to the WorkSharp brand of sharpeners. The 120V single speed motor delivers plenty of power to sharpen and re-sharpen any pocket or kitchen knife. However, it is not made for sharpening mower blades, axes or other outdoor tools. The other WorkSharp sharpeners are made for these, so refer to their website to find one of their many sharpeners that best fits your needs. The sharpener has fixed 25-degree sharpening and honing guides that give anyone the ability to sharpen or re-sharpen knives like a pro. Please note: some knives may require a different angle and you should always check depending on the type of knife, but most American knives will have the 25-degree angle on them. In the box you receive two flexible P120 3M belts. These belts are specifically designed for cool sharpening and will not burn the edge of your blades. There is also a fine grit tapered ceramic rod that can be cleaned with a regular pencil eraser when it begins it clog up. That’s it! Pretty cut and dry. All you need to get started is read the directions, plug it in and off you go sharpening all those dull knives. Once I got started, my wife found several more for me to do. Overall, I find myself leaving this sharpener out for quick touch ups. I trust it with my own fishing and hunting knives, and now find there is no excuse to be caught without a sharp knife.